In this city visitors will find not only ancient places of interest, but also modern sights. In other words, Barcelona is a city that can easily suit the needs and tastes of every tourist. The most comfortable way of visiting numerous sights of Barcelona is traveling in a special tourist bus, which makes stops in all historical places of the city. The other, not less pleasant, way of sightseeing is simply walking around the city. Eixample area. 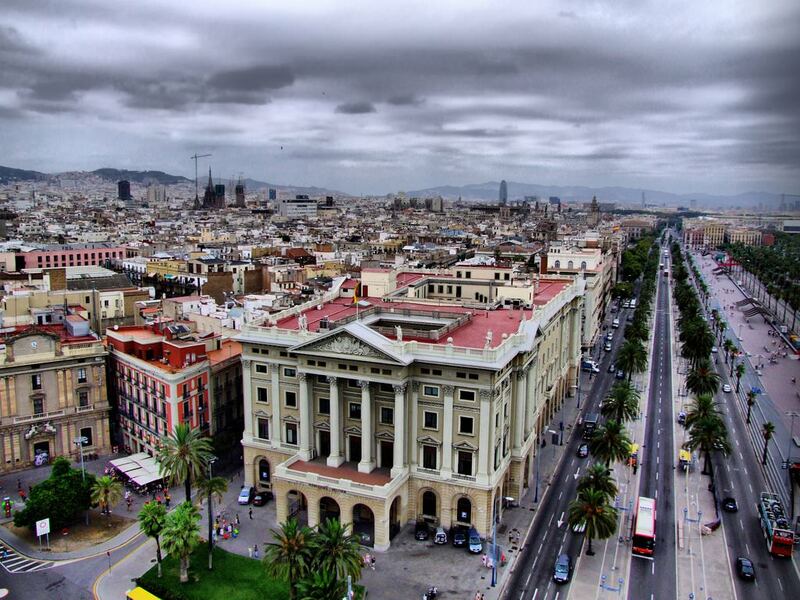 If you go upward from the very centre of Barcelona, Plaza Catalunya, you will find yourself in Eixample area. This district was built in the art nouveau style. Tourists will surely like the atmosphere of numerous posh shops, various cafes, bars and restaurants. We strongly advise you to go along beautiful and fascinating Paseo de Gracia Street, where, among a great number of monuments, you can find several works by Gaudi. If you turn to the left from Diagonal Avenue and make a short walk, you'll get to Plaza de Frances Macia. In order to come back from that place, you simply need to cross the road, turn right and go downward Rambla de Catalunya Boulevard. This way you’ll reach Plaza Catalunya. On average, such a walk takes about half a day, but it mostly depends on speed, physical condition and your budget. El Born and the City Park (Parc de la Ciutadella). El Born is a very beautiful and calm area. If you decide to make a walk from the ancient part of the city to Parc de la Ciutadella, you will surely pass by El Born. 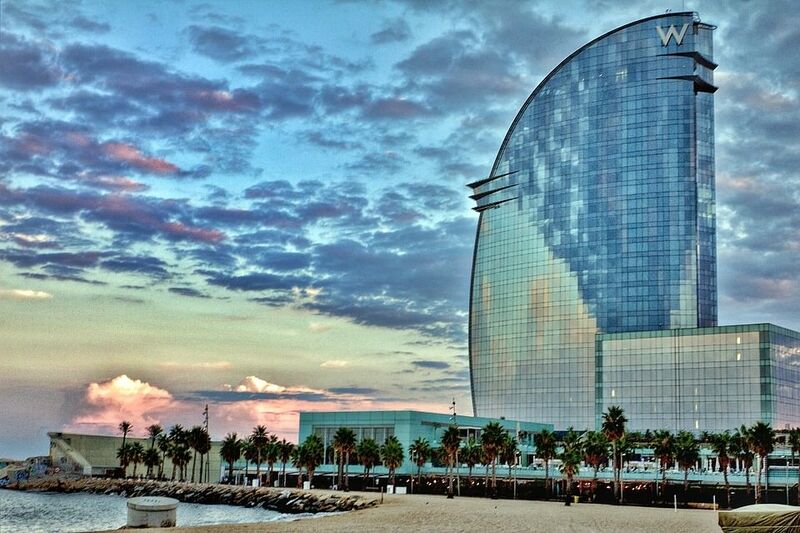 This district is often called “Barcelona’s Soho” (the name came from the area in New-York). El Born is a typical example of a new creative wave in Barcelona. Just 10 years ago this area was absolutely unpopular and, of course, it wasn’t considered a place of interest and didn’t attract plenty of tourists. Because of its unique location (the district is located near Gothic Quarter, a beach and one of the most attractive parks in Barcelona Parc de la Ciutadella) initially this place was liked by eccentric people - artists and students. Artists started exhibiting their works here and opened their shops. After that, many investors realized the potential of this area and a great restoration campaign was started in the district. Tourists will see a lot of amazingly beautiful buildings there. For example, the district is home to the world-famous Picasso Museum and the Museum of Chocolate. There are also many galleries here, which exhibit paintings of local and foreign artists, as well as various cheap restaurants that serve national cuisine. More than that, this district will be loved by fans of bars. Barceloneta and Port Olympica Beach. Barceloneta is an old Catalonian fish quarter, which is located between the ancient part of the city and the beach. Thanks to its location it is very easy to predict that this is the place where tourists can find best fish restaurants, tapas-bars and small cosy shops in the city. If you go along the boulevard, you will reach Port Olimpica Beach. Along with plenty of bars, restaurants and shops this place is the location of amazing and quality beach clubs. Many cafes are also located right on the beach, so you can get a wonderful dinner there, enjoying the landscape and the sea. Fort Montjuic. A funicular road will take you from Barceloneta to the other side of the city. This is the place where visitors will be able to see Montjuic Mountain. This mountain was one of the most important places during the Olympic Games that took place in Barcelona in 1922. The mountain has simply everything for a good holiday and great pastime. One can easily spend a whole day here. The top of the mountain is the location of Fort Montjuic. 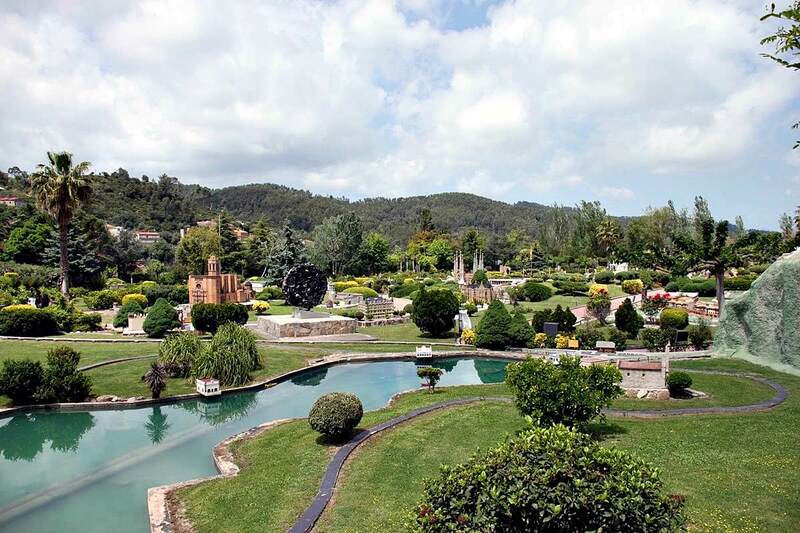 Tourists should definitely not forget to visit Poble Español, a miniature village, which was built in accordance with architectural styles of various provinces of Spain. Do not forget to visit the National Palace at Plaza de Espania and the cemetery, which is located on the top of the mountain. Mirador Colon panorama. The end of La Rambla Boulevard, which is near Barcelona Port, is the location of a 60-meter column, topped with a statue of Columbus. This is a very important place for Barcelona, which is familiar almost to everyone. Though it is almost impossible to leave this column unnoticed as it attracts a lot of tourists, only a few know that there is a lift inside the column. The lift will get visitors to the top of the statue, from which guests will enjoy picturesque views of Barcelona and its ports. This guide to iconic landmarks and sights of Barcelona is protected by the copyright law. You can re-publish this content with mandatory attribution: direct and active hyperlink to www.orangesmile.com. Check on the map: Distance from Barcelona center - 15.8 km. Check on the map: Distance from Barcelona center - 3.3 km. Check on the map: Distance from Barcelona center - 2.6 km. 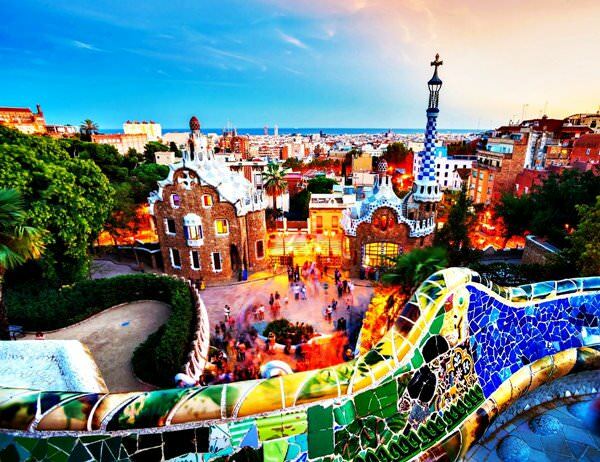 All about Barcelona, Spain - sightseeings, attractions, touristic spots, architecture, history, culture and cuisine. Prepare your trip together with OrangeSmile.com - find out the 'must see' things in Barcelona, which places to visit, which excursions to take, where the breathtaking views are waiting for you. Planning your trip with this travel guide will help your to get the most out of Barcelona in few days.